New High Quality Stainless Steel Hipflasks. Modern and classic designs with black imitation leather. Supplied in a smart presentation gift box. 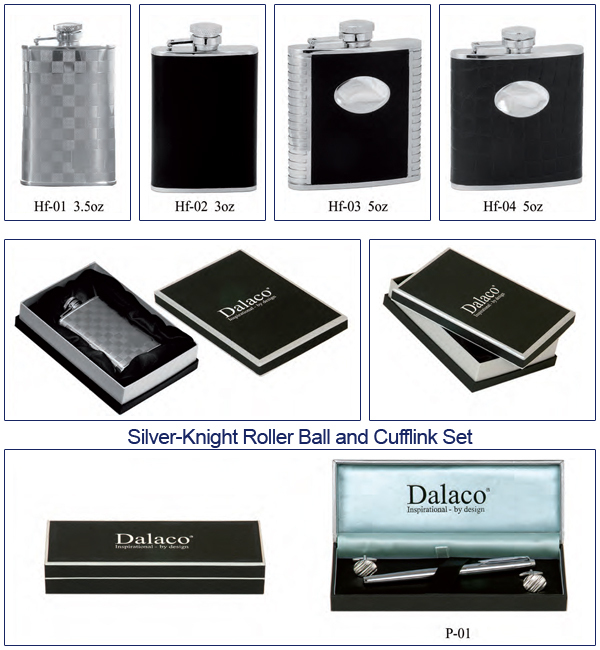 Pen & Cufflink Sets with Silver-Knight Rollerball - Great ideas for Christmas gifts!